Many people don’t think of Maryland as the home to rolling vineyards and award-winning wines. But some are proving that’s about to change. Montgomery County turns out to be a great location for grape vines. From Cabernets to Pinot Grigios, the northern geography’s soil is contributing to a booming new industry. A bottle of wine reflects the place where it’s grown. So we set out to find the perfect hillside to grow grapes. We found that in the Montgomery County Agricultural Reserve. This rocky hillside, called Burnt Hill, has the capacity to produce wines unlike anywhere else on earth. A beautiful, new vineyard is growing in Montgomery County. 61 Vineyard in Damascus was acquired in 2017 with plans to make great wine. A true Maryland farm to glass production, they plant more than 20 acres of both red and white grapes. Members of both Maryland Grape Growers Association and Maryland Wineries Association, they also plan to open a tasting room in 2020. Sugarloaf Mountain Vineyard (see photo), in Montgomery County, lies at the foot of the beautiful Sugarloaf Mountain and park. With 22 expansive acres, the vineyard currently grows five white and red varieties. Visitors can also enjoy wine tastings, food, and live music. Rockland Farms Winery, in Poolesville, produces handcrafted, small-batch wines from its 9.5-acre vineyard. As part of a local grower’s cooperative, they use low-impact methods that are 100% free of herbicides. They practice high-density planting in the vineyard and keep fruit yields low in order to enhance color, complexity, and flavor. When Old Westminster Winery was reaching capacity on their 17-acre family farm in Carroll County, the brother and sister team went searching for another location to grow grapes for their wine. They found that in the Montgomery County area overlooking Sugarloaf Mountain and the horizon of the Blue Ridge. Silver Spring’s Great Shoals Winery looks to local and regional farms to grow the fruit for their hard cider, wines, and sparklings. With over twenty wines in production, their tasting room is a great place to connect with the area and their produce. The Urban Winery in Silver Spring, MD is the closest winery to our nation’s capital and the first winery in our region in an urban environment. They create traditionally crafted wine, made from the finest grapes from around the world. 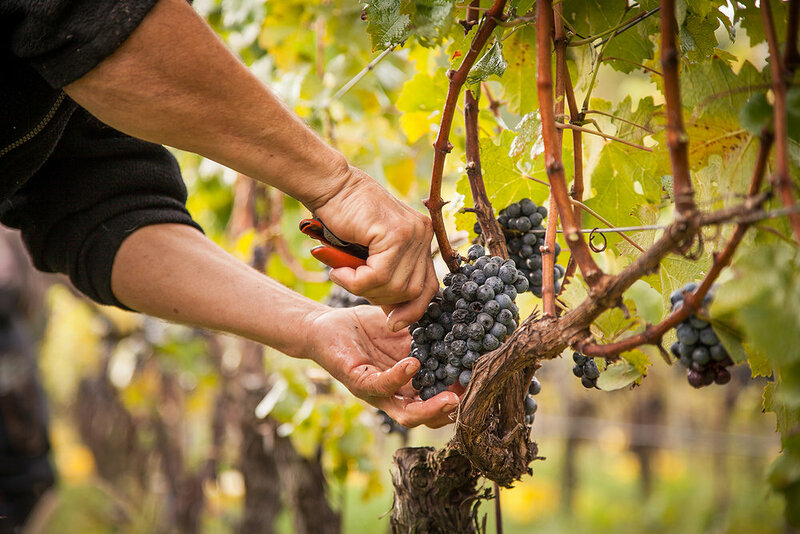 Olney Winery employs the unique business model of sourcing grape products from suppliers and vineyards all over the world to ferment over 34 different varietals of award-winning wines locally.